Vika is Tan’s full sister and was a shy kitten. 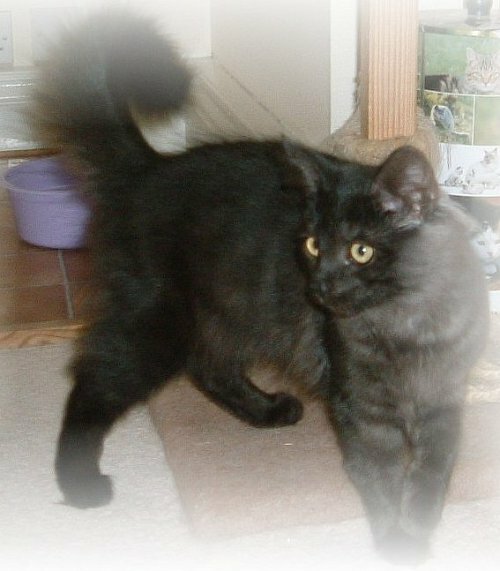 She has certainly come out of her shell since having babies and is now very loving, lively and outgoing. She has had some pretty babies and we look forward to her next litter. Lou is very playful and one of the naughtiest nfc’s we have ever owned! Life is never dull with Lou around; you never know what she will do next. She is a good sized female with an even larger personality and lots of charm. 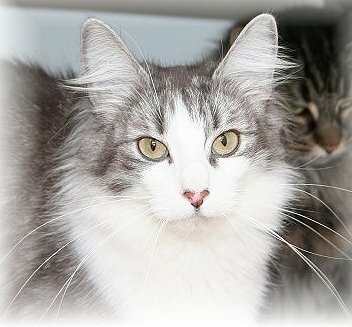 She loves everyone, cats, dogs and humans; she is always purring and is the first to greet you. 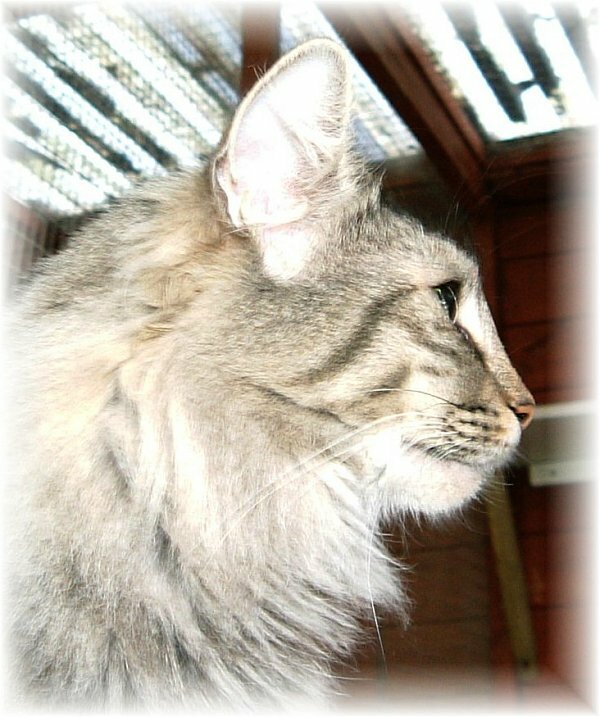 Lou has much of what you could ask for in a norwegian, including a ruler straight profile and a long body and tail. 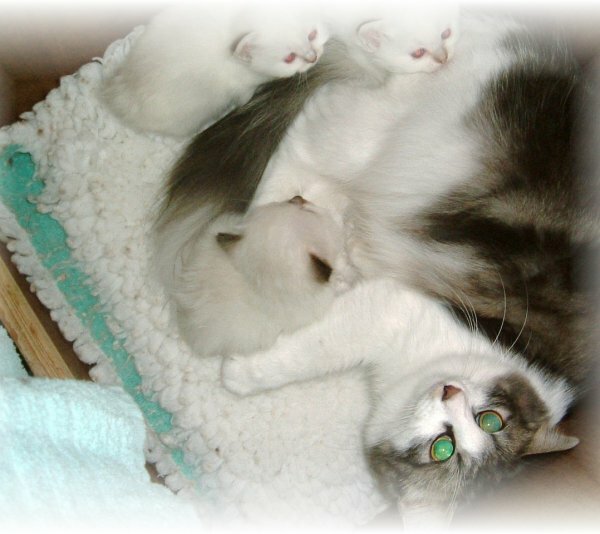 She is currently acting as big sister to the birman babies we have and we hope she proves to be a good mother herself when she has her own babies shortly. We thank Kate for another loving addition to our cat family. Dundra came to live with us from Sweden in April 2007; she is a blue silver tabby and white, one of my favourite colours. She is a stunning looking female with wonderful type and comes from excellent Scandinavian lines. 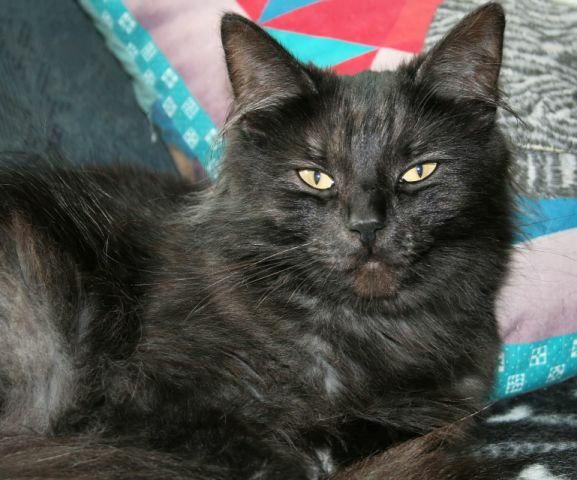 She has a delightful personality and is very affectionate; she has settled into our cat family with ease. She has recently had her first litter, sired by Singe, and we are looking forward very much to seeing how their babies develop. Thank you Tessan for allowing Dundra to come to England. Kala is our latest nfc addition and she has settled very well; she lives with Lou, Maddi and Gift. 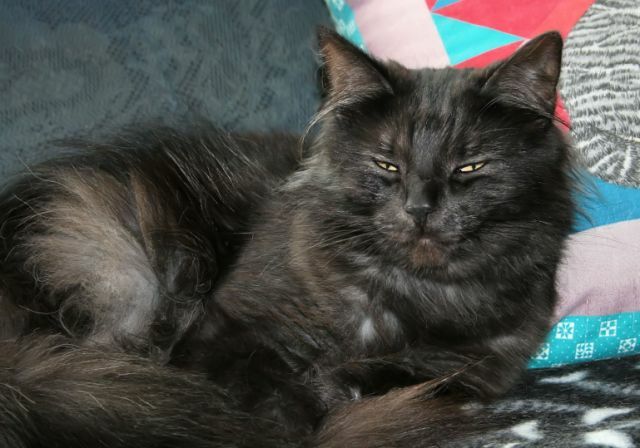 We are hoping Kala will help maintain the boning and size of our future kittens as she has good type and boning together with a long body and tail. One of her favourite occupations when on your lap is to wash you wherever she can. With her very laid back personality she enjoys being shown and has not disappointed us so far with her results. We thank Lorraine for letting Kala come to live with us.